Now, how ’bout that Joy of Giving? Well, it gives me unadulterated joy to offer you the chance to win another Jurlique gift set, this time the Loveable Skin Lavender Essentials Set, worth £29! The set contains: Lavender Hand Cream, 125ml & Love Balm, 15ml – everything you need to keep your hands and cuticles in tip-top condition this winter! 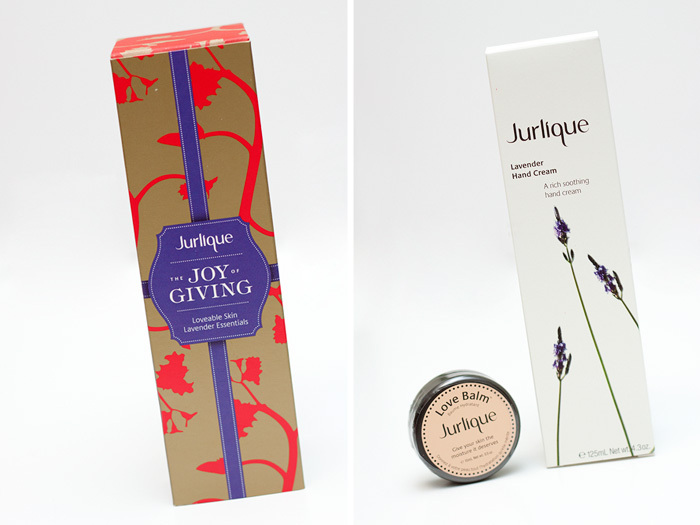 Want to win Jurlique Loveable Skin Lavender Essentials gift set, worth £29?! In which year was Jurlique founded? 5. Competition closes on Tuesday 6th December 2011 at 23.59 GMT.